George Downing is credited with creating the first removable fin boxes. You can read how that came about by Clicking HERE. 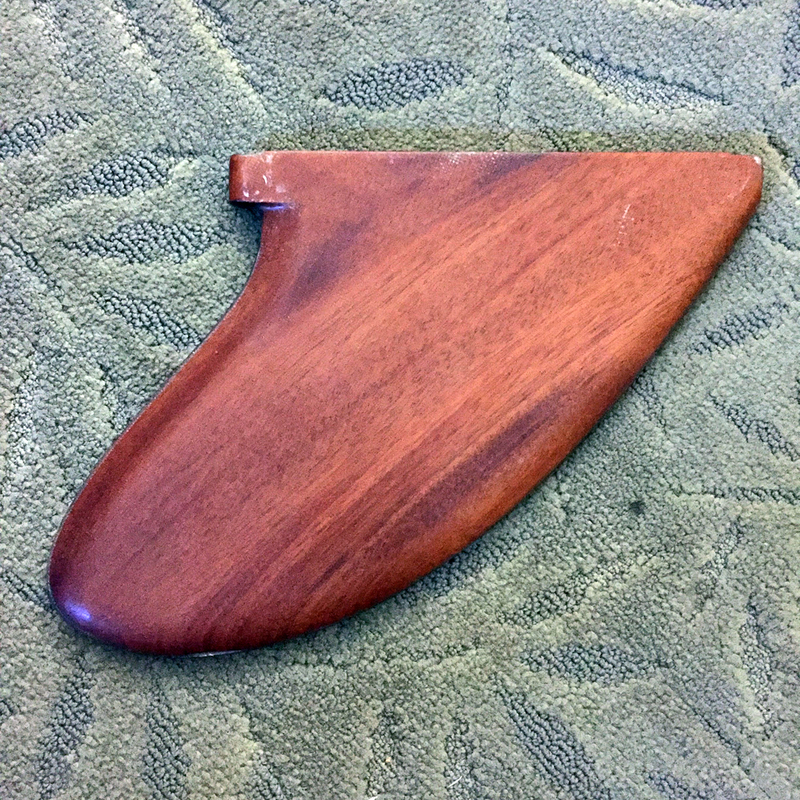 This fin goes to with a wooden balsa gun that was purchased by collector, John Mazza at SHACC's last California Gold Surf Auction. Here's the board's description: 1954 Hawaii’s soon-to-become legendary surfer/shaper George Downing built a handful of highly innovative surfboards, essentially creating the first modern big wave gun—and, in fact the design that virtually all modern boards are based on. Downing, who’s kept every surfboard he’s ever owned since 1951, still has the prototype pintail known as “Rocket”, making this version the only other one of the series known to exist. Hand-crafted entirely from balsa this 11’0”, commissioned in ’54 by local big wave rider Bob Muirhead (its sole owner), features Downing’s game-changing high-to-low rail, rolled-nose to flat-paneled bottom configuration, along with a teak wood, removable fin box—the very first of its kind. The board and fin will be featured in SHACC's exhibit, "Treasures" from the John Mazza Collection, from April 30 - June 30, 2016.